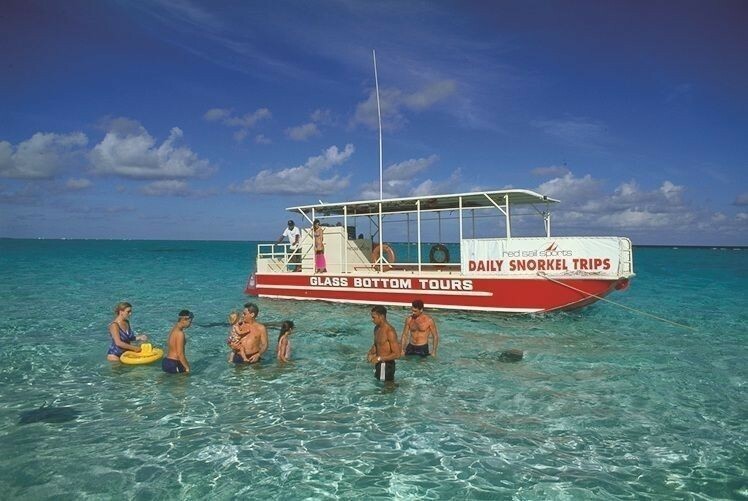 The Glassbottom Boat Tours depart from Rum Point located in the Cayman Kai area (about a 25 minute drive from Morritts Tortuga Resort an hour drive from Georgetown). 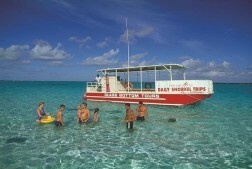 We offer snorkel trips to Stingray Sandbar, which is a convenient 15 minute boat ride from the pier. Play with the Southern Stingrays or stay dry if you choose to pass on the snorkeling. This trip includes a second snorkel stop at a shallow reef. Families love this adventure!